Visual collaboration meets direct communication. 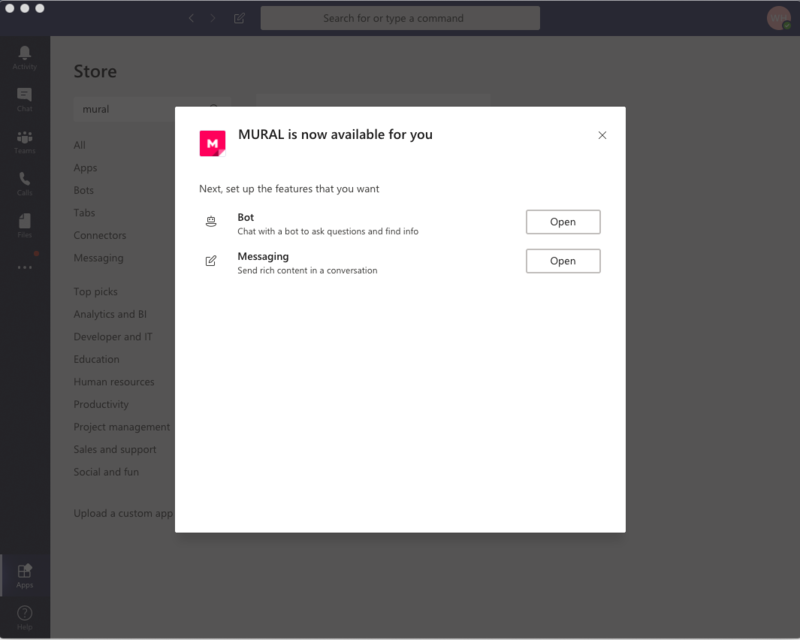 With our new Microsoft Teams integration, easily jump between talking with your colleagues in Teams and collaborating visually in MURAL. 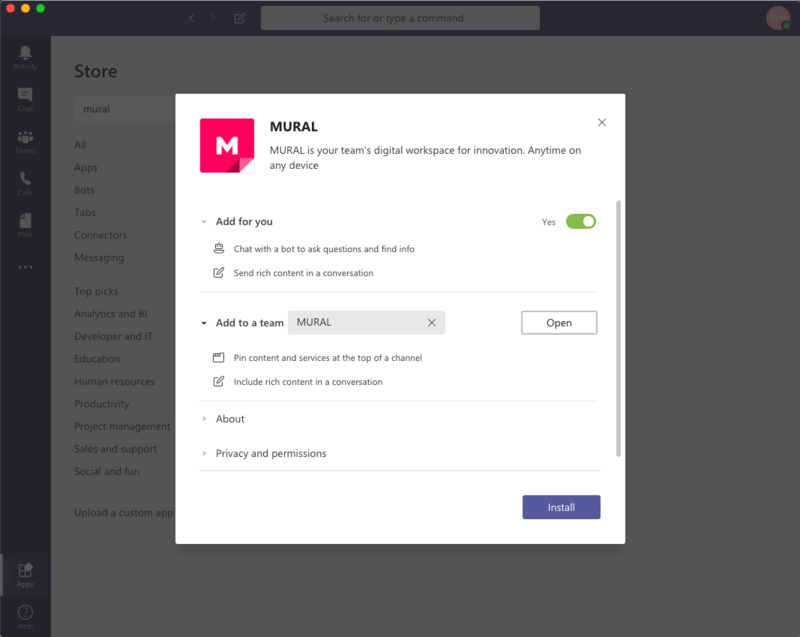 Add MURAL to Microsoft Teams and receive messages when there’s activity in your murals, e.g. when somebody joins your mural for the first time or leaves you a comment. Messages from MURAL will include preview images and links to the mural for easy access. 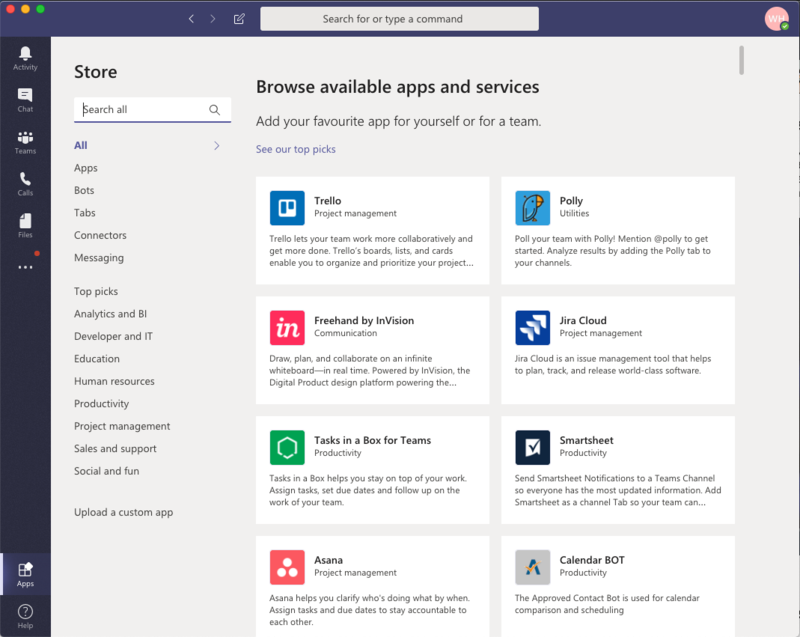 Make sure your O365 admins have enabled apps (MURAL in particular) for your Team. 3. Select 'Yes' next to 'Add for you' and select your team next 'Add to a team.' 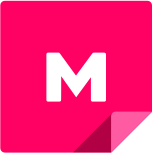 Click 'Install'. 4. Then, select Open next to each of the features you've enabled. Now that you've got MURAL installed, click here to learn how to configure your notifications.